The Pier Arts Centre, Museum and Art Gallery in Orkney, Scotland. This exhibition is a celebration of Stromness through paintings, prints and photographs bringing together a cross section of historic and contemporary works of art that show how artists have studied, interpreted and re-presented images of the historic town. Portrait of Stromness forms part of the town’s Per Mare celebrations and offers a unique insight into the work of the many creative people who have worked in Stromness, both as visiting professionals and those resident in the town from over the last 200 years. 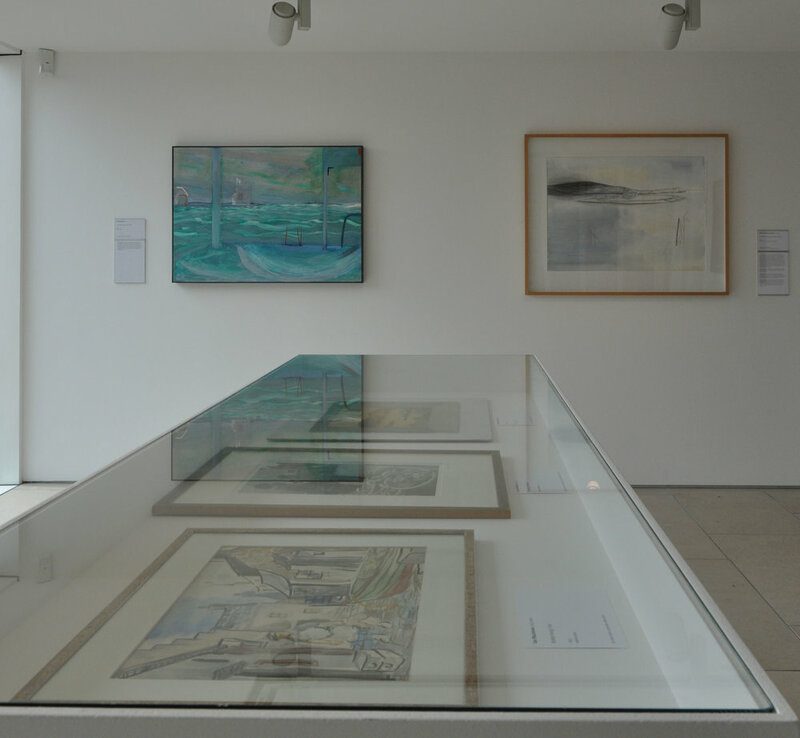 The exhibition offers a unique insight into the many creative people who have worked in Stromness, both as visiting artists and those resident in the town, across a variety of media including drawing & painting, photography and prints, from the 18th century to the present day. While the exhibition provides a fulsome portrait of Stromness, many other depictions of the town will exist in homes in Orkney and beyond as well as in collections around the world. To complement the exhibition, the Pier Arts Centre is inviting people to submit images of works of art featuring Stromness for a special on-line gallery. Visit our on-line gallery for details on how to submit images. We are grateful for the support of Northlink Ferries and Museums Galleries Scotland in presenting Portrait of Stromness. The Pier Arts Centre is a partner of Tate, and exchanges programmes, ideas and skills with the Plus Tate network of visual arts organisations across the UK.